On the weekend I officially uploaded my first recipe onto the Recipe Community. It wasn’t my own recipe. It was a recipe I converted for my Thermomix. You can view the recipe here. While my recipe was relatively simple to convert I still had to think about the process. 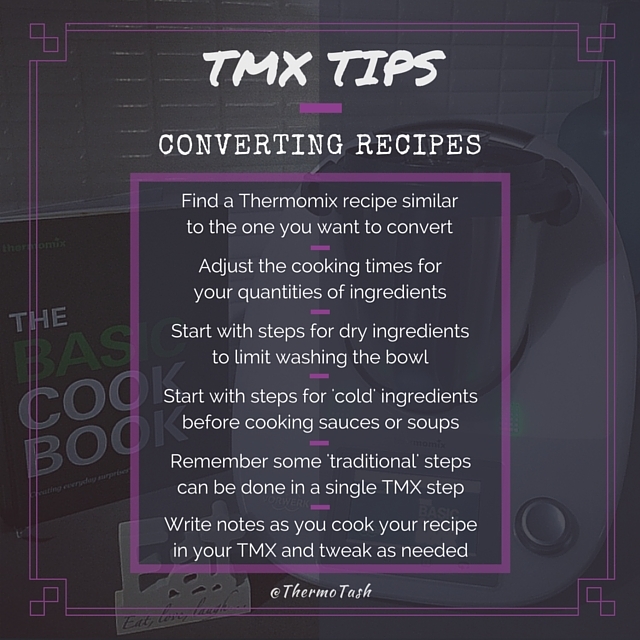 Here’s a quick guide to converting your own recipes for your Thermomix. Refer to your Basic Cookbook for more tips on converting recipes. 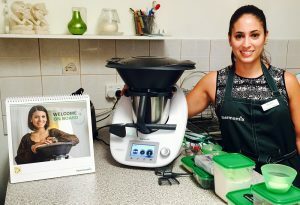 Have you converted any of your favourite recipes for your Thermomix? What was the recipe? Have you uploaded it onto the Recipe Community to share it with everyone?